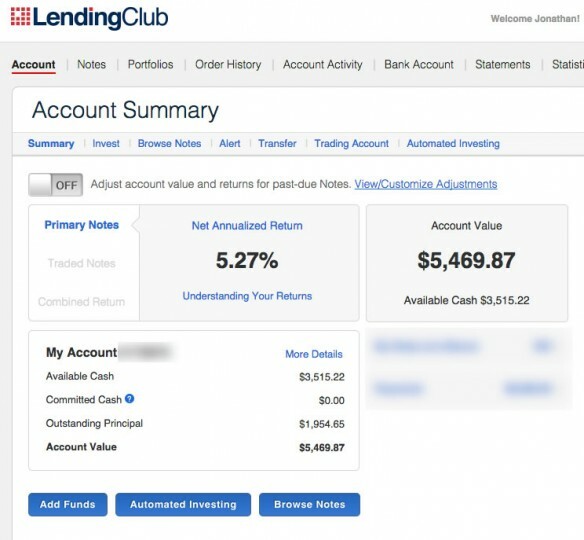 LendingClub (LC) is a marketplace lender that offers unsecured personal loans and then sells investment notes backed by those loans. After defaults and fees, they advertise historical returns between 5% and 8%. As an incentive, LC recently started offering up to 100,000 United MileagePlus award miles to investors that bring in at least $2,500 in new money. Here I offer a quick analysis of the investor offer and point out that it is actually available to both new and existing investors, even though that may not be obvious from the website. Only deposited and invested dollars are eligible for award miles. Lending Club Investor must have UA MileagePlus account activated before investing to qualify. New investors can link online. Existing investors must call or e-mail to manually link your accounts (see below). 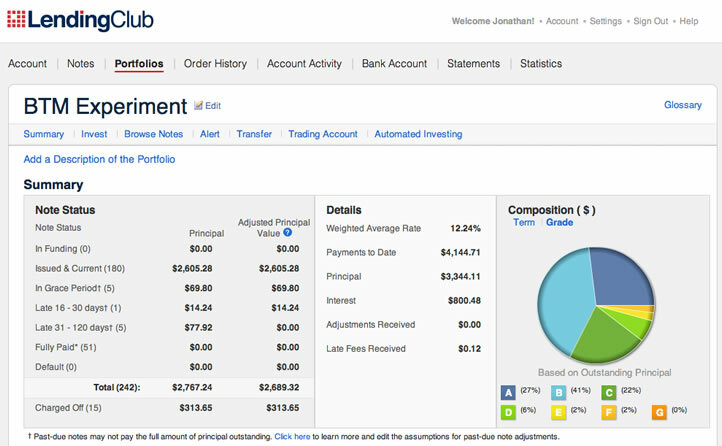 For existing investors to receive miles, an investor must transfer at least $2,500 of New Funds into an active eligible taxable account and invest the New Funds through the Lending Club platform within 90 days of the commencement of the then-current offer (each, an “Existing Investor Offer Period”). Offer is valid from October 1, 2016 to December 31, 2016 and Mileage Plus miles will only be awarded on new funds transferred and invested through Lending Club during this time period. We’re excited to announce our partnership with United Airlines! 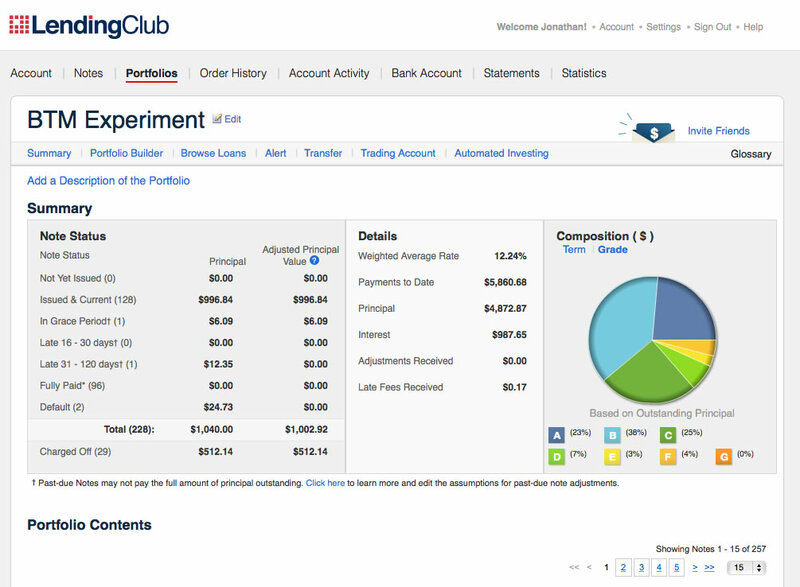 Investing on Lending Club just got more rewarding. Right now, receive one United MileagePlus® award mile for every two dollars you invest through Lending Club up to 100,000 miles! […] Upon the transfer and investment of the first $2,500 of New Funds, a new investor will qualify to receive 1,250 miles. For every dollar of New Funds transferred and invested in excess of $2,500, a new investor will qualify to receive .5 miles, up to a maximum aggregate bonus of 100,000 miles per calendar year. The maths. A minimum deposit of $2,500 earns 1,250 United miles. Every dollar above that $2,500 will earn 0.5 miles up to the 100,000 mile limit. If you value United miles at range of 1 cent to 2 cents a mile, 1,250 miles is worth $12.50 to $25. Thus, the bonus value ranges from a 0.5% to 1% bonus on top of the interest you’d already receive. Existing investors participation details. 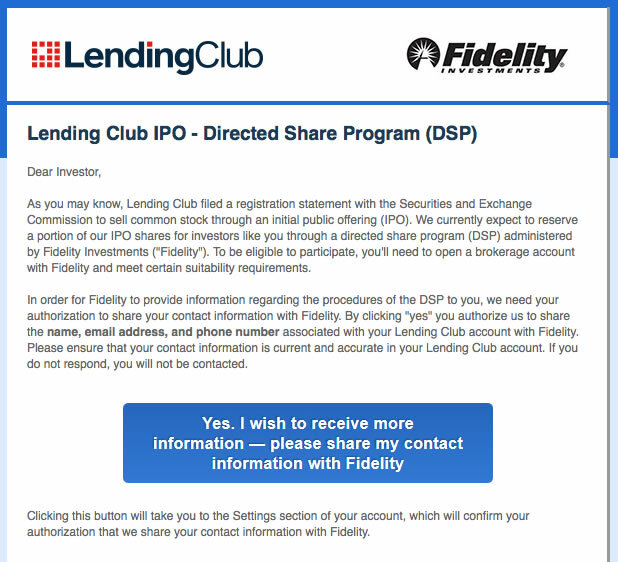 I confirmed with two different LendingClub representatives that this offer is also available to previous/existing investors. You must first link your United MileagePlus account number with your account. 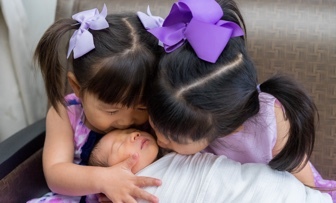 You can them via e-mail at [email protected] or phone at 888-596-3159 (7:00am–5:00pm PST, M–F). Provide them with your LC account ID and your UA MileagepPlus Number. Bottom line. The bonus itself is not big enough to encourage you to invest if you weren’t otherwise interested. However, if you have already decided to invest with LendingClub, definitely don’t miss out on these free miles to boost your overall return. The value is roughly 0.5% to 1% to your investment amount, assuming you bring in at least $2,500 of new money. Link your accounts first before moving over the new money. As an existing investor myself, I’ve written my share of opinions on LendingClub. I’ll just say two things: Have realistic expectations and diversify. Their advertised historical returns of between 5% and 8% are more realistic than you may have seen elsewhere. As they also note, 99.8% of investors who invest in 100+ Notes of relatively equal size have seen positive returns. It is not coincidence that 100 notes x $25 each = $2,500. LendingClub Drama: Should Investor-Lenders Be Scared of Bankruptcy? As an early adopter and IPO participant of LendingClub, I was disappointed to read about their recent happenings. The major financial media outlets have been covering it closely, with summary-style articles from the NYT here and WSJ here. This is my condensed understanding of the situation. On Monday, May 9th, LendingClub abruptly announced in a “by the way” manner that their celebrity CEO Renaud Laplanche had resigned. (His only other alternative was to be fired.) Three other high-level executives were also fired. LendingClub improperly sold $22 million of loans to an institutional investor that did not meet the investor’s standards. The origination dates were changed some loans in order to make the loan meet the investor’s specifications. Other loans had other features of their disclosures altered and/or misrepresented. LendingClub later bought the loans back for full price. LendingClub as a company decided that it was good idea to invest in outside investment funds that own… LendingClub notes. Can you say conflict of interest? Will the fund get better access to loans? LendingClub was supposed to be the middleman, so why are they quietly taking on risk as the lender? For one of these funds that LendingClub invested in, then-CEO Laplanche had a personal stake which he did not disclose. Director John Mack also had a personal stake, which apparently was disclosed. So now LendingClub as company is investing in outside funds that invest in LendingClub notes and are (shhh) partially owned by their CEOs and Directors? On Tuesday, May 17th, an SEC filing disclosed that LendingClub received a grand jury subpoena from the U.S. Department of Justice (DOJ), which indicates they will be subject to additional investigations as well as potential lawsuits in the future. In opinion, LendingClub then became too aggressive in their chase to stay on top as the “industry leader”. The majority of their notes are now sold to large, institutional investors, not individuals. But this also means risk if the big investors decide to stop buying their big chunks of loans. In turn, they loosened their standards and became willing to take on additional risk by essentially buying their own loans if demand drops. You can decide if it was coincidence that they started fudging dates and other “little stuff” to keep things going. When you invest in a Note, you are investing in an obligation of Lending Club. Borrowers make payments on their loans to Lending Club, and in turn, Lending Club distributes payments to investors in the Notes net of fees. If Lending Club were to go out of business, investors may not receive the full amount of payments due and to become due on the Note, or such payments may be delayed as bankruptcy or other proceedings make their way through the courts. We have taken steps to ensure continuity to protect investors and borrowers if Lending Club were to go out of business. For example, we have executed a backup and successor servicing agreement with Portfolio Financial Servicing Company (“PFSC”). Under this agreement, PFSC stands ready to service borrower loans. Following five business days’ prior written notice from us or from the indenture trustee for the Notes, PFSC will begin servicing the loans. If the underlying loans are determined to be part of Lending Club’s bankruptcy estate, PFSC may not be able to make payments on the Notes. If our agreement with PFSC were to be terminated, we would seek to replace PFSC with another backup servicer. Here’s another take by Kaddhim Shubber in a FT article. The short answer is that yes, there is a chance that if LendingClub files bankruptcy that investors individual notes may lose their principal and/or interest if other creditors claim priority over those assets. The question is determining the probability of this happening. Why an acquisition is much more likely than bankruptcy. If I am reading their recent filings correctly, LendingClub has over $800 million in cash along with little company debt (other than the notes created to be sold to outside investors). Their company value dropped to as low as $1.5 billion this week, which means the company itself could technically be bought for $700 million. (Less than a year ago, the company was worth over $5 billion.) A mega financial institution like Wells Fargo or J.P. Morgan Chase could easily buy the entire company (and keep servicing the notes) if the value dropped further. I believe the LC platform still has real value, but if trust erodes further then it may need the backing of a bigger name. Then we’d be full-circle, the former peer-to-peer lender now owned by Wall Street. I’m not saying such an acquisition is likely, but instead something that would happen well before bankruptcy. At the same time, unlikely is not zero. I would not put any more than 5% of my net worth into LC notes. I had great hope for LendingClub, but also never put more than a few percent of my net worth into LC notes. 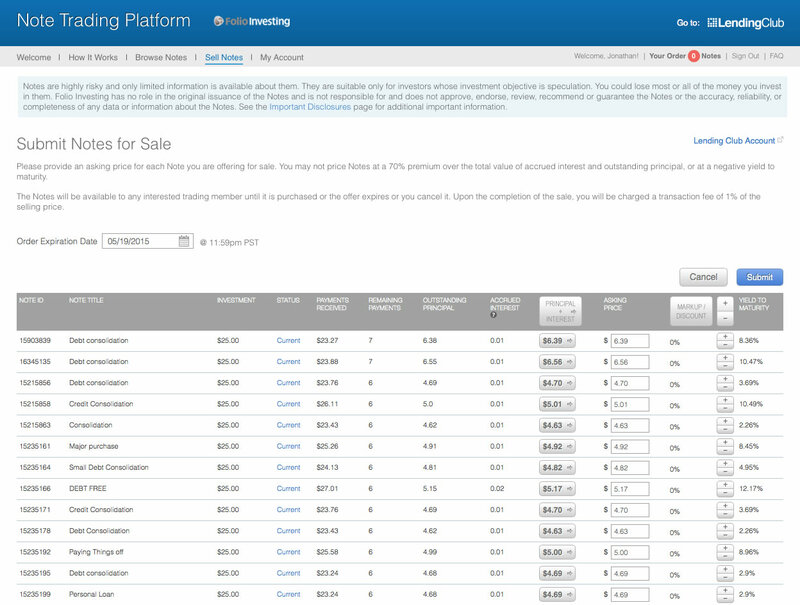 Here is my post on liquidating my LendingClub notes on the secondary market. I have no position in LC stock either, as I sold my shares immediately after the LendingClub IPO. I’m just watching this one from the sidelines. You won’t get the stated interest rates on your loans. Let’s say the loans you invested in are charging 12% interest to the borrowers. First, there are fees to pay. Second, these are unsecured loans to faceless individuals on the internet. You don’t get to repossess a house or even a car. All you can do is hurt their credit score. They could empty their bank account and walk away the next day. Defaults are gonna happen; you should expect it. Your reported return will decline over time. I see many people who have loans being very happy about their 10% reported returns after a year or so. Well, expect it to drop 1 to 3% or possibly more by the time the loans actually finish their full terms. If you keep rolling over your interest into new 3 year loans, that means your average loan age will likely remain around 1.5 years (often even younger due to high prepayment rates). This chart illustrates how returns typically decline over the life of an investment. If your account is relatively new, it is likely that your returns will decline over time as some of your Notes become past-due and charge off. This chart is not a prediction of how your portfolio will perform and actual results may vary. A historical 7.2% median annualized return is still pretty solid. For a rough approximation, here are the returns of some corporate junk bond funds, probably the closest publicly-traded asset class available. Per Morningstar as of 4/14/2015, the 3-year trailing total return of the Barclays High Yield Bond ETF (JNK) was 6.67%. As of 4/14/2015, the 3-year trailing total return of the Vanguard High-Yield Corporate Bond Fund (VWEHX) was 7.21%. Given that the timeframes don’t match up perfectly, I would only go as far as saying that the return figures are in the same ballpark. 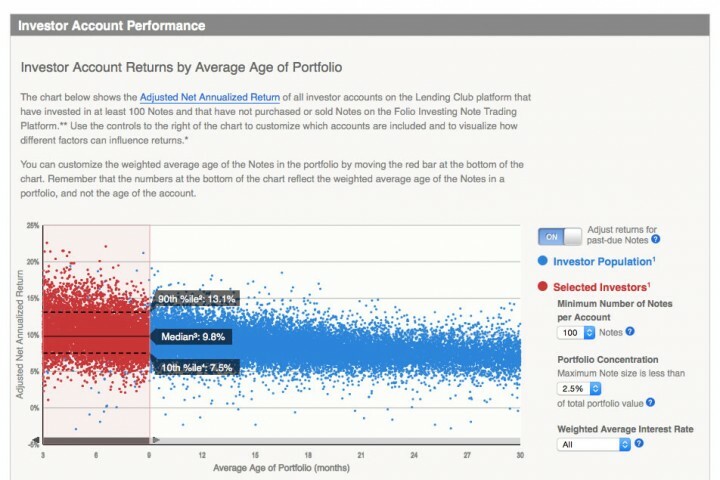 It is worth noting though that the mutual funds offer the same broad diversification for everyone, whereas an individual investor at LendingClub has more scatter in returns (either higher or lower than average). 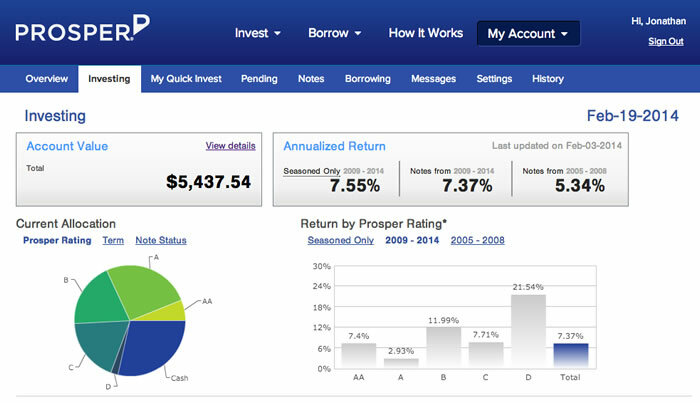 As for me, apparently I’m below the 10th percentile myself with my 4.3% annualized returns. Arrgh! 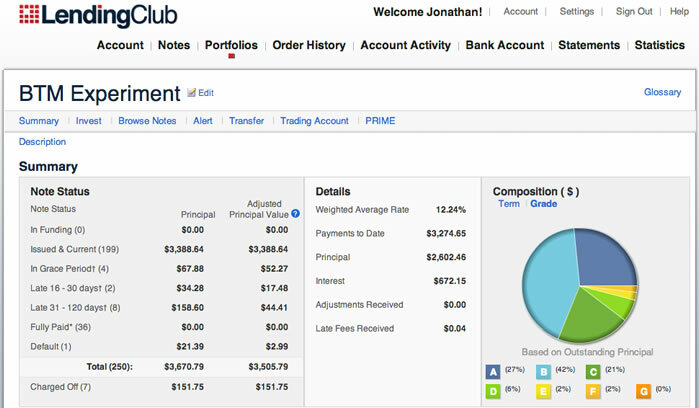 In November 2012, I invested $10,000 into person-to-person loans split evenly between Prosper Lending and Lending Club, both out of curiosity and for a chance at higher returns from a new asset class. After diligently reinvesting my earned interest into new loans, I stopped my after one year (see previous updates here) and started just collecting the interest and waiting see how my final numbers would turn out at the end of the 3-year terms. P2P lending has successfully gone mainstream. 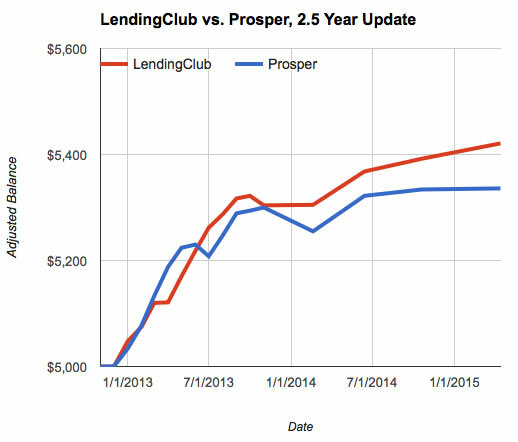 The fact that institutional investors are buying a significant portion of Prosper and LendingClub loan inventory would seem to prove that the concept is viable. This WSJ article says 66% of Prosper loans in 2014 had been sold to institutional investors. What started out as the Wild West of unsecured loans is now accepted by Wall Street. LendingClub had a successful IPO in December 2014 (which they generously let their lenders participate in). Updated. 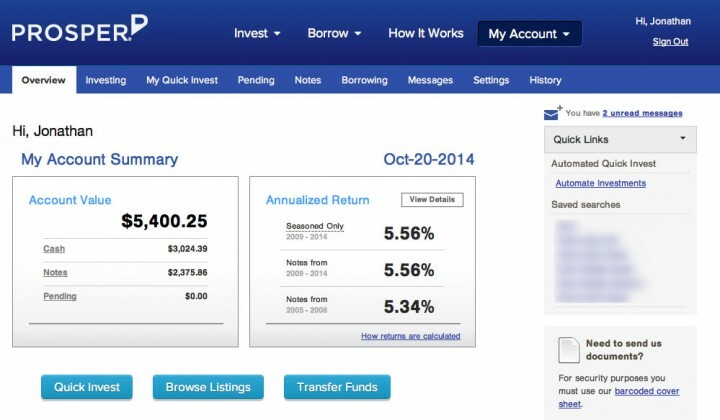 I’ve gotten a few tax-filing questions regarding P2P lenders Prosper Lending and Lending Club. 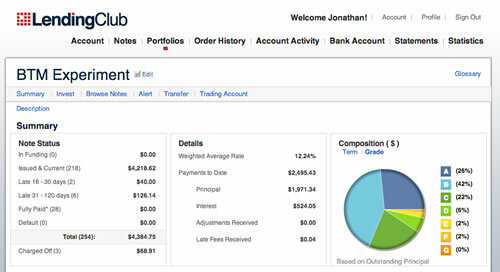 For tax year 2013, LendingClub provided individual investors extra guidance with their Tax Guide for Retail Investors ]. Using this information, I have updated this post. More resources: Let me also recommend Peter Renton’s post at LendAcademy, the follow-up comments on that post, and this forum post by AmCap as good references for an intelligent discussion on the topic. 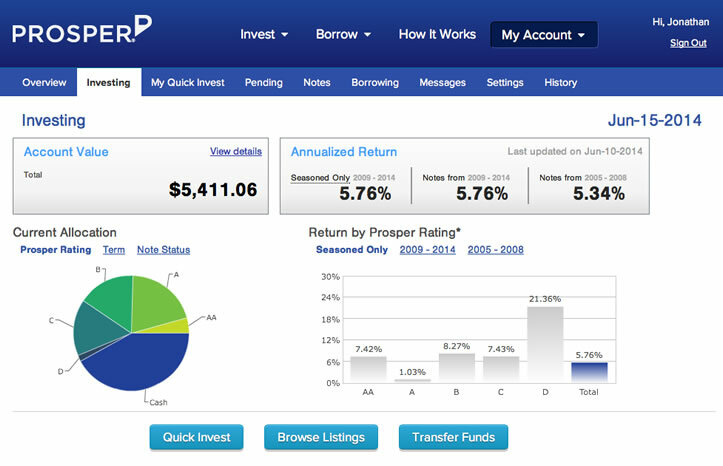 Also see the LendingClub and Prosper tax pages, even though they aren’t especially helpful. After posting the 1-year update (Part 1, Part 2) of my Beat-The-Market experiment back on November, I got bored. 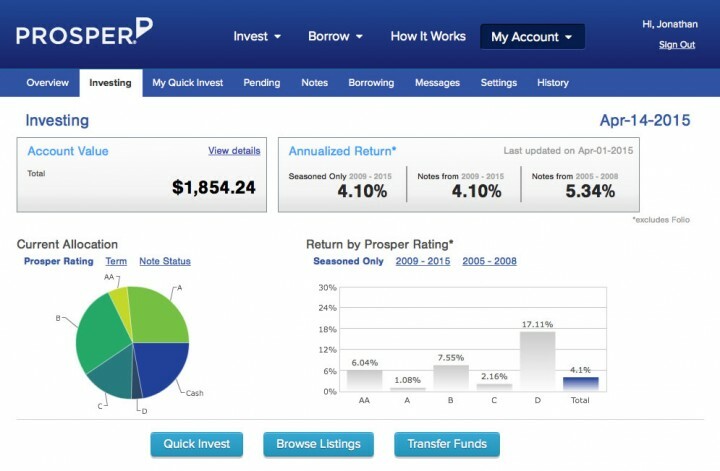 I had started with $10,000 split evenly between Prosper Lending and Lending Club, but although this alternative asset class had potential, I just didn’t find it reliable enough for me to invest significant funds in it. I suppose that I’ll hang onto these loans and see how the rest unfolds. 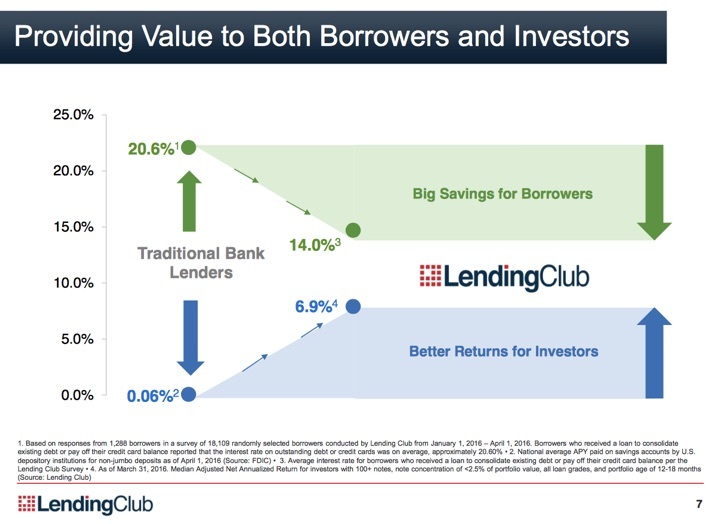 I know that other people report 10%+ annual returns on Prosper and Lending Club and may be better loan pickers than me, but I still be wary setting such high expectations for the average P2P investor. I’m still in the black and doing okay, but I wouldn’t count your chickens until the loans get a bit more mature. Yesterday, I posted a 9-month update on my $10,000 P2P lending portfolio with loans from Prosper and LendingClub. Every so often it is pointed out that lending unsecured money directly to random people at high interest is not very safe, and you could just invest in junk bonds from shakier companies instead. “Junk” bonds, also known as High Yield bonds, are bonds from companies which have earned a credit rating from one of the major rating agencies that is worse than the “investment-grade” tier. Perhaps the company already has a lot of debt, or its balance sheet is otherwise worrisome. Bonds from some pretty big and well-known companies have been rated junk from time to time. This is not a detailed analysis and not even technically an apples-to-apples comparison, but I ran some quick numbers to satisfy my own curiosity. The iShares iBoxx $ High Yield Corporate Bond ETF (HYG) is the largest high yield US corporate bond ETF, with over $15 billion in assets and an expense ratio of 0.50%. Here’s a chart of the credit rating breakdown of the portfolio, taken from their latest Q2 2013 factsheet.